There is little in our contemporary world that has not been touched by the creative genius of Jerome Lemelson. Barcode readers and cordless phones, cassette players and camcorders, automated manufacturing systems, even crying baby dolls—these devices and hundreds of others that have shaped our lives derive from the inventions and innovations of this remarkable man. 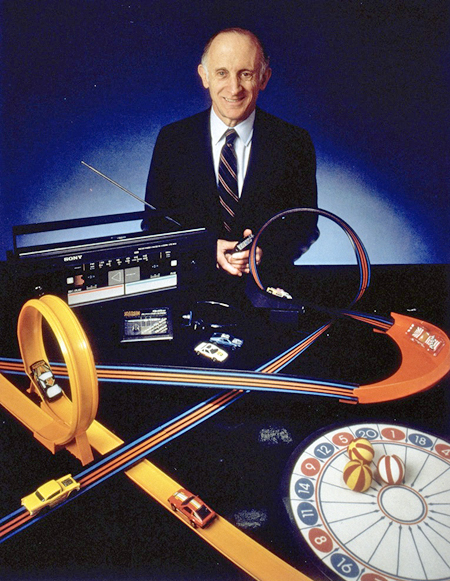 With more than 600 patents to his name and others still pending, Jerome Lemelson was one of the most prolific American inventors of all time, and in the sheer range of his ideas—from cutting-edge medical and industrial technologies to novelties, gadgets, and toys—undoubtedly one of the most versatile. Physically unimposing—a thin, sharp-featured man of average height—Lemelson possessed not only an extraordinary intelligence and insatiable curiosity, but also an indomitable spirit. They enabled him to persevere in the face of financial and legal obstacles, championing the rights of the independent inventor and becoming, late in life, a multimillionaire. He used his wealth for philanthropic endeavors, as well as to support and defend his patents. In his philanthropy, as in his professional work, he was devoted to invention. 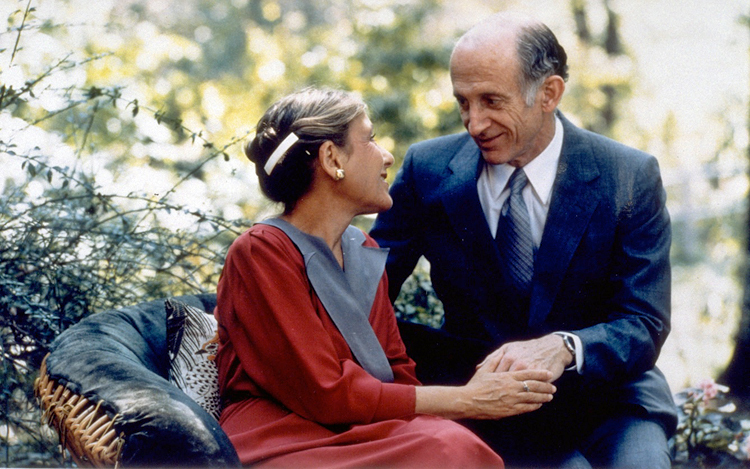 In the 1990s, he and his wife Dorothy established the Lemelson Foundation, inaugurated the Lemelson National Program in Invention, Innovation, and Creativity, and gave major grants to Hampshire College, the Massachusetts Institute of Technology, the University of Nevada, and the Smithsonian Institution. These grants funded programs to encourage young people to pursue careers in invention and entrepreneurship, to promote industrial innovation, and to foster greater awareness and appreciation of inventors and invention in the United States. Born in Staten Island, NY, on July 18, 1923, Jerome Lemelson was the oldest of three brothers. Their father, a physician trained at Columbia University School of Medicine, was a second-generation American of Austrian Jewish descent. He maintained his medical office in their home and was able to support the family in relative comfort through the years of the Great Depression, though he was occasionally paid with a chicken or a bottle of wine in lieu of money. Their mother was a teacher, trained at the Trenton Normal School in New Jersey. The boys' education began at PS 33, a two-room schoolhouse on Staten Island, where their mother had once taught. Jerome—known as Jerry to his family and friends—showed an early fascination with technology, particularly with airplanes. It was the age of aviation, and he and his brother Howard, two years younger, were avid hobbyists, building gas-powered model planes and flying them in competitions on the weekends. They read aeronautical magazines with the enthusiasm that other children read comic books. Even at this early age, Jerry Lemelson's gift for invention was evident. He once devised an illuminated tongue depressor for his father to use in his medical practice. His fighting spirit manifested itself in his youth, too. 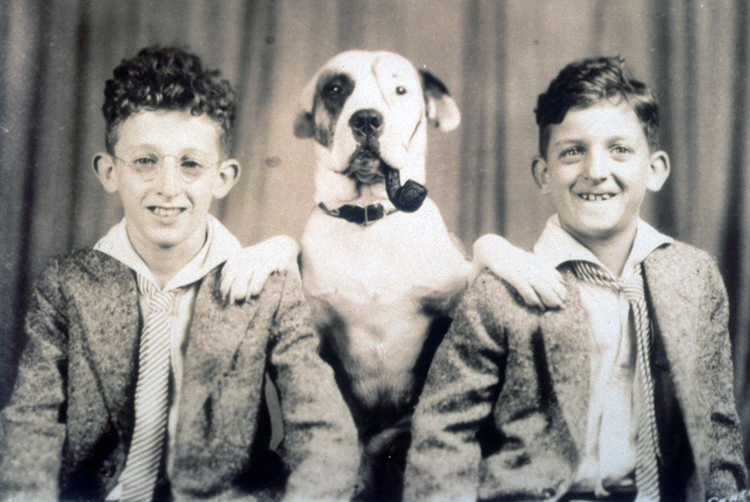 Though small in stature, he was a fierce defender of his younger brothers, Howard and Justin, ready to take on anyone of any size who tried to bully them. 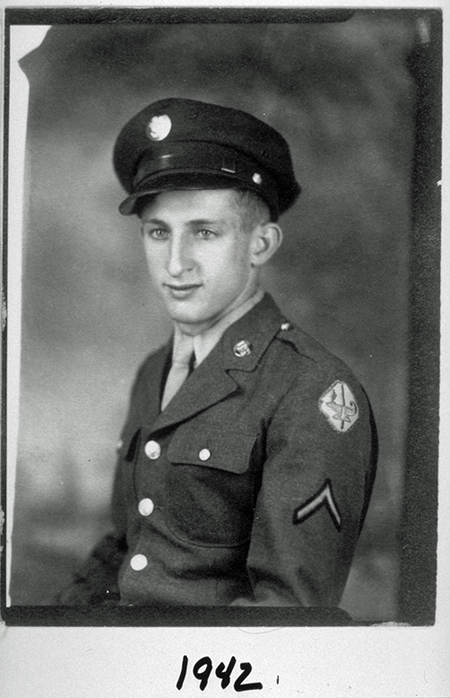 After high school, he enrolled at New York University, but his college years were interrupted by World War II and service in the Army Air Corps engineering department. Before serving a stint in Alaska, he was assigned to teach auto mechanics to African American troops in Louisiana. This first-hand experience of segregation in the military heightened his sensitivity to issues of racism, discrimination, and civil rights—issues about which he would care deeply for the rest of his life. Lemelson subsequently returned to New York University and completed his studies, graduating in 1951 with a bachelor's degree in aeronautical engineering and two master's degrees: one in aeronautical and the other in industrial engineering, a field that encouraged his creative thinking about production processes. About this time, he and his brother Howard, also an engineer, experimented with ways to produce a substitute for stainless steel, which was in short supply and very expensive during the war and early postwar years. They attempted to make chromized steel by infusing chrome into the surface of ordinary carbon steel. Although moderately successful, they did not pursue a patent. The process later was used in Europe. While still in graduate school, Jerry Lemelson worked for the Office of Naval Research on Project Squid, a postwar effort to develop pulse jet and rocket engines. After graduation, he took a job designing guided missiles at Republic Aviation in New York. He shared his one-bedroom, East Side railroad flat with Howard, who recalls that Jerry would wake up almost hourly night after night, turn on the light, and write in a notebook he kept by his bed. 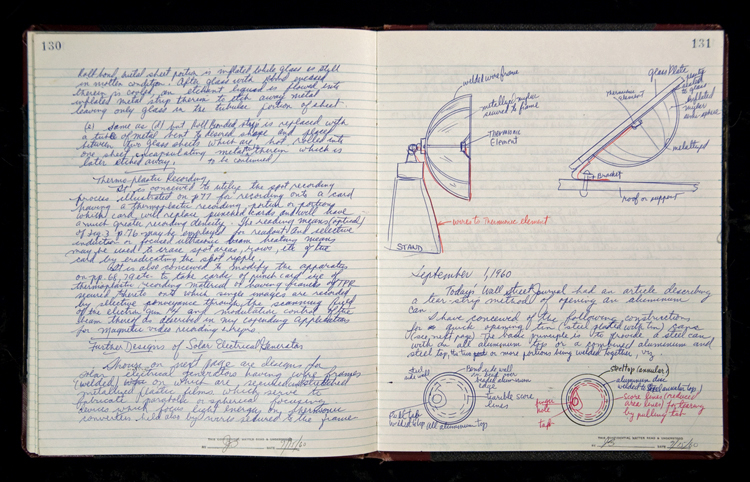 In the morning, Jerry would ask Howard to read his notes and sign them as a witness to the six or seven new ideas for inventions that he had envisioned during the night. Although he had not yet filed for any patent, he was clearly preparing to do so, using legal binders and taking care to have his ideas witnessed and dated. In 1951, Jerry Lemelson observed a demonstration of an automatic, punch-card-controlled metal lathe at the Arma factory in Brooklyn. Struck by the possibilities of automated industrial machines, he set to work developing plans for a universal robot that could measure, weld, rivet, transport, and even inspect for quality control. The robot employed a new technology: machine vision. Machine vision used computers to analyze digitized images from a video camera. It was a breakthrough invention and the one of which Lemelson was most proud despite the hundreds of others that he produced over the next 45 years. Lemelson developed and refined this concept, writing a 150-page application that he finally submitted to the Patent Office on Christmas eve, 1954. By that time, he had also devised and submitted patent applications for an automated warehousing system, a flexible manufacturing system, and several other inventions related to industrial automation. Because he could not afford to hire a patent attorney, he wrote the applications himself, doing all the necessary research and legal work. His inventions were not limited to industrial machinery and processes. By this time, he was filing patent applications at the rate of one per month, a pace he would continue and at times exceed for the remainder of his life. 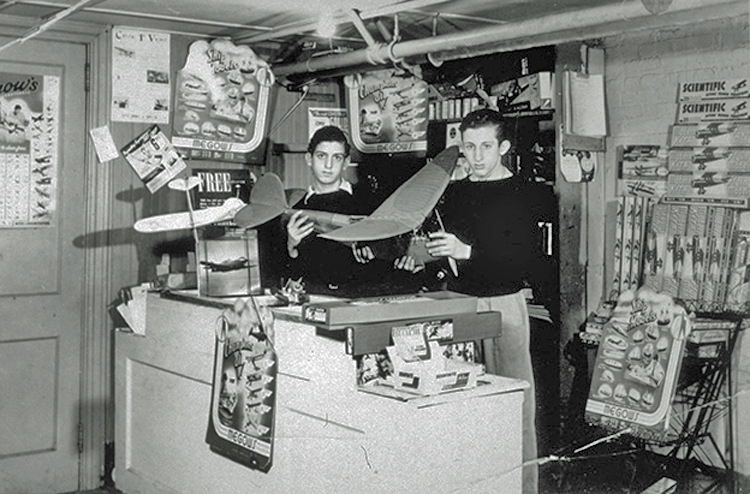 Many applications were for toys and novelty items. The postwar baby boom had created a rapidly growing market for children's toys, and manufacturers were seeking new product ideas. Toy companies were easier to approach than other types of corporations, and both the first patent issued to Lemelson (in October 1953, for a "toy cap," a variation on the propeller beanie) and the first invention he licensed (a wheeled toy to the Ideal Toy Company) were in this field. Then Lemelson got his first bitter taste of patent infringement. It started with his idea for a cut-out face mask that could be printed on the back of a cereal box. He filed for a patent and then took his concept to a major cereal manufacturer. The company rejected his idea, but about three years later began packaging its cereal in boxes printed with cut-out face masks on the back. When Lemelson first saw such a box on the grocery store shelf, he was stunned. It was a crystal-clear case of patent infringement, and he filed suit. The case was brought to court, but dismissed; it was dismissed again on an appeal. These court appearances were the first of many he would make in coming years to defend his patents. It was in the early 1950s, too, that he began dating Dorothy Ginsberg, the daughter of a friend of the family. They had met for the first time on the Staten Island Ferry, many years before, when both were children. Dolly, as she is called by all who know her, has always had a strong intuitive sense about people. She remembers that on that first meeting on the ferry she said to herself, "I'm going to marry that boy!" They were married in 1954, about 20 years after their childhood encounter. Dolly had grown up in Perth Amboy, across the river from Staten Island. After graduating from high school, she worked as a keypunch operator to earn money to pay for her art education. With a strong aesthetic sense and talent in the visual arts, she went on to study at the Parsons School of Design. Following graduation, she taught at the Newark School of Fine and Industrial Arts, simultaneously opening her own interior design studio. With her creativity and her self-reliance, she was a good match for Jerry Lemelson. 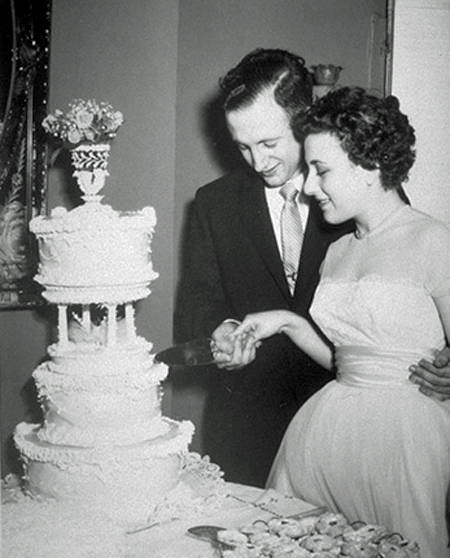 Their honeymoon was spent in the Bahamas, but on the way home they stopped in Washington, DC, so that Jerry could do some research at the Patent Office. It was a sweltering day in Washington, and the process of obtaining documents in the Search Room was frustratingly slow. Dolly overheard a patent lawyer complaining that the place ought to be mechanized. When she repeated the comment to her husband, the idea immediately took hold. It was the seed that grew into his video filing system, for which he filed a patent application in 1955. The video filing system employed reels of magnetic or videotape to record documents, about 250,000 pages per reel. The documents could be read from stop-frame images on a television monitor. He devised a mechanism to operate the tape, and included it in his patent application. This mechanism later became the core component of audio and video cassette players. The Lemelsons settled in Metuchen, NJ, in a garden apartment. With the birth of their sons Eric in 1959 and Robert in 1961, they moved into a single-family house. Metuchen, nicknamed "the brainy borough" because it attracted many intellectuals, was close to Menlo Park, where Thomas Edison—one of Lemelson's heroes—had developed his best-known inventions. "In the beginning, I wanted to manufacture certain ideas I had in the toy and hobby field and become financially independent. After that, I planned to get my own lab and machine shop and develop my ideas further. I made several efforts to get into manufacturing, and they weren't very successful. I was working on a shoestring, and the money I had wasn't enough to carry me through. . . It wasn't until my last failure in business that I realized I should become a professional inventor and spend most of my time at it." He kept an apartment in New York as a place for meeting clients, but did most of his work in an office-laboratory in the attic of the house in Metuchen. Dolly operated her interior design business from a studio on the first floor. Her income sustained the family well into the mid-1960s. Although his time and energy were focused on his work and legal activities, Lemelson did not fit any stereotypical image of the isolated or eccentric scientist. He very much enjoyed the company of other people, especially his family and friends, and he and Dolly kept up a social life despite the pressures of work. In their home, the conversation often turned to social or political issues of the day, such as the civil rights movement or the Vietnam war. He was an advocate of physical fitness, typically starting his day by running a mile or two, followed by sets of push-ups and sit-ups, and was shopping in health-food stores long before they became part of the popular culture. Although he did not enjoy professional sports, he found time to play ball with his sons. He also loved to ski, both downhill and on water, well into his seventies, even after breaking a collarbone in a skiing accident at the age of 72. He had a sweet, gentle, playful side that was particularly evident when he was with children. Yet his mind never ceased generating ideas or working out solutions to the problems he decided to tackle. On family outings to the beach, he would spend most of the day under a big umbrella (he was always concerned about over-exposure to the sun and to other carcinogens and pollutants), writing on legal pads or later recording his thoughts on a hand-held Dictaphone. Periodically, he would take a break and go for a brisk swim in the ocean. He regularly transcribed his notes into the ever-present bound notebooks and solicited the signatures of those around him—his secretary, friends, visitors—as witnesses. Lemelson was filing a dozen or more patent applications each year. Each application required payment of a fee. Once filed, the applications had to be examined by the Patent Office for technical and legal merit before they could be approved, and the rate at which they were approved varied considerably. It could take a couple of years for even the simplest of them, the toy patents, to be issued. With his more complex inventions in medicine and industry, which often included many components and dealt with emerging technologies, it could take far longer—in some cases, decades. The Patent Office would subdivide Lemelson's applications into separate claims, and research them at different times. Once a patent was issued, there was another, slightly larger, fee to pay. But those were not the only costs. 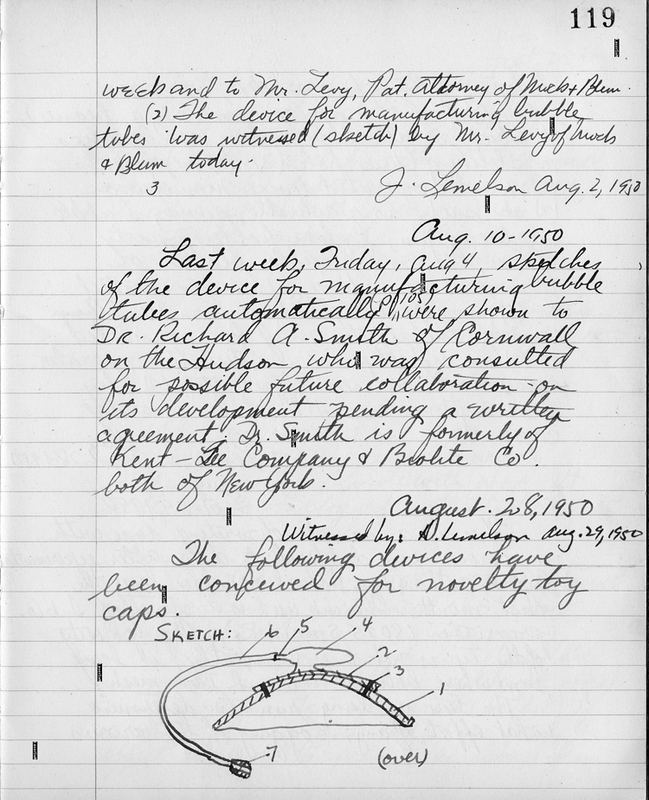 Although Lemelson actively sought to license his inventions, he found that few companies were interested. In the late 1960s, operating out of his Manhattan apartment, he set up a company, Licensing Management Corporation, to market his own patents and those of a few other inventors. For a while, the company even represented NASA's spin-off technologies from the space program, but with little success. Lemelson would set up other similar companies from time to time in the ensuing years, but the effort was labor-intensive, with few results. Often only about one out of every 100 letters he sent out elicited an answer, and few led to licenses. He found, as had other independent inventors before him, that many corporations with their own research and development departments were resistant to purchasing rights to products or technologies that were "NIH" ("not invented here"), particularly if the originator were an individual or small group. Corporations generally did not want to take risks in introducing products for which a market had not yet been developed. And if their R&D staff did eventually develop a similar product or technology, many companies were reluctant to pay licensing rights to the original patent holder. Patents, like copyrights, are constitutionally protected, "securing for limited times to authors and inventors the exclusive rights to their respective writings and discoveries" (Article 1, Section 8). Because patent infringements were not considered theft, criminal charges could not be brought for infringement, and civil charges by individual inventors were rarely sustained. Punitive damages were reserved for instances of willful infringement, and most corporate legal departments knew how to protect their companies against that charge. Moreover, the laws were not enforced consistently. Most judges did not have technical expertise or a specialty in patent law. Prior to 1982, when the U.S. Court of Appeals for the Federal Circuit was established in Washington, DC, cases could be appealed only in regional Circuit courts, which varied greatly in their degree of support for the claims of inventors. In the New York Second Circuit, where Lemelson appealed his cases, only about one in four decisions in infringement cases would be in favor of the independent patent holder. Lemelson was spending about 20 percent of his time in court or on legal issues related to patent infringements, and he was paying huge legal fees. However, he was beginning to have some success in licensing inventions to companies. In 1961, Texas Instruments bought rights to his system for manufacturing integrated circuits; in 1964, he negotiated an exclusive license for his automated warehousing system with the Triax Company of Cleveland, OH; and in 1967, he licensed his flexible manufacturing system to Molins, a British firm. Yet much of the profit from the licenses went to support suits against other companies that he believed had pirated his ideas. For example, soon after he made the deal with Triax, other companies began using the automated warehouse system; he and Triax jointly sued those companies for violating Triax's exclusive license, and the litigation dragged on for more than 20 years. Another case centered on a flexible track toy for miniature cars for which Lemelson had submitted patent applications in 1967. The Mattel Corporation introduced Hot Wheels® the next year, and it became one of its most widely sold items. 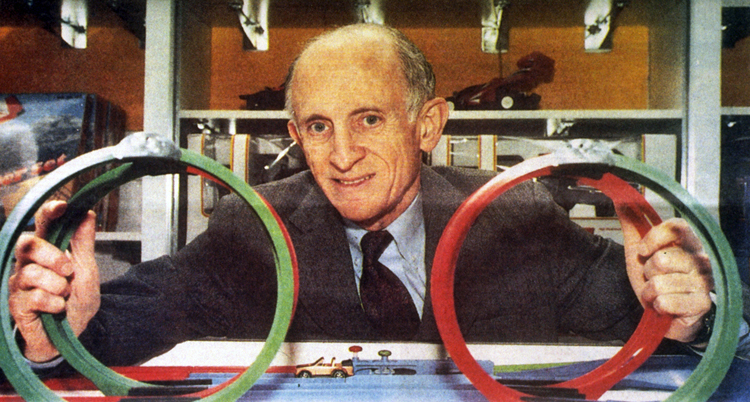 Hot Wheels® was based on a concept that Lemelson had developed and documented for the Patent Office, and he sued Mattel for infringement. A 22-year legal battle ensued; a $71 million settlement in Lemelson's favor in 1989 was overturned on appeal in 1992. Fortunately, not every patent he received ended in litigation. His successes in licensing grew with time. In 1974, he licensed his audio cassette drive mechanism to Sony Corporation, who in turn sublicensed it to more than a hundred other firms in Japan and other parts of Asia. It was the basis for the Sony Walkman, one of the best-selling electronic products of its time. In 1981, he licensed about 20 patents for word-processing and data-processing technologies to IBM Corporation; for the first time in his life, he was financially secure. He also had the resources to take on even bigger challenges. In 1989, one of the biggest challenges pitted Lemelson against four major Japanese auto makers: Toyota, Mazda, Nissan, and Honda. Gerald Hosier, one of the nation's top patent attorneys, represented Lemelson. The case centered on Lemelson's invention of machine vision, the concept behind barcode readers as well as sophisticated automated manufacturing systems used by Japanese companies and other auto makers. Lemelson had filed his original patent application back in the 1950s; the patents had only recently been approved. With Hosier in charge of Lemelson's legal team, the case was settled within a month, and the four companies, along with eight other Japanese automotive manufacturers, paid Lemelson royalties. Later, numerous Japanese, Korean, and European electronics manufacturers and European auto makers also agreed to settle. Lemelson generally found that he had more success asserting his patent rights against foreign companies than against domestic companies. American corporations would go to great lengths and great legal expense to avoid paying royalties, perhaps to avoid setting a precedent in favor of other independent inventors. Sometimes the cost of their legal fees over the years of litigation would far exceed what they might have paid to license the patented product or process that they were fighting in court. The cereal company that printed masks on the backs of its boxes spent $150,000 to $200,000 in legal expenses to avoid paying $15,000 for licensing the idea from Lemelson. 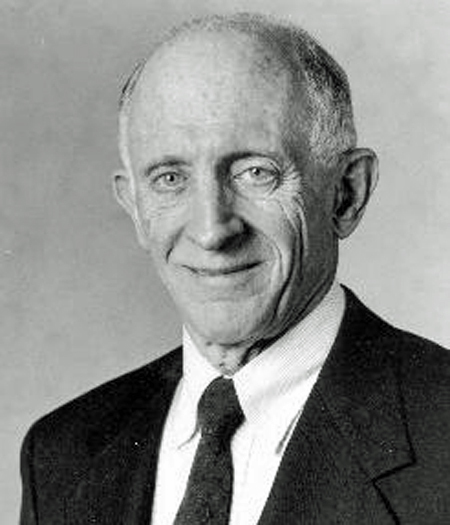 Lemelson's innate optimism, his absolute confidence in himself, his underlying faith in the power of government to do good, and his firm belief in the legitimacy of his claims gave him the strength and tenacity to stand up to multinational industries. He made it his personal crusade to defend the rights of independent inventors against corporate giants, just as he had defended his brothers against neighborhood bullies in his youth. As his lawyer Gerald Hosier observed, "What Jerry is doing is standing up for the civil rights of inventors." In so doing, he became a hero to other lone inventors who lacked the stamina or the resources to do battle for themselves. His prominence and his concern for the rights of the inventor led to his appointment in 1975 to the Patent and Trademark Office Advisory Committee, where he worked to reshape the relationship between the patent system and the legal system, and between American inventors and industry. In 1979, Lemelson testified before a Senate committee on the innovation crisis in the United States, describing what he perceived as an anti-patent philosophy. In that testimony, he stated that the obstacles put in the way of independent inventors—from the high legal costs entailed in preparing and filing patent applications to the failure of the courts to perceive or prosecute patent violations—were responsible in large part for the decline in U.S. technological innovation. In the past, the United States had achieved its economic power from its technological inventions, but by 1979, 40 percent of new patents approved by the United States Patent Office were being issued to foreigners. Lemelson believed that only by supporting and encouraging the creativity and innovation of individuals could America regain and maintain its economic strength. The establishment of the U.S. Court of Appeals for the Federal Circuit in 1982 was a step forward, bringing more stability and consistency to the interpretation of the law in patent cases. But Lemelson's ideas went beyond changing the legal framework. He had been thinking for many years about ways to change the system and to encourage innovation and enterprise. He wanted to see more opportunities open up for people of all backgrounds, and he believed that promoting invention and entrepreneurship to the younger generation was central to expanding opportunities. When he received his settlements from the auto and electronics manufacturers, he was finally able to put his ideas into action. In 1993, he established the Lemelson Foundation and launched the Lemelson National Program in Invention, Innovation, and Creativity with his wife and sons. During the first two years, the Lemelsons pledged more than $20 million to support educational initiatives that would attract young people to science and invention and encourage them to start their own businesses. A key element of the program was what Lemelson called E-Teams, emphasizing excellence and entrepreneurship. At Hampshire College, his son Robert's alma mater in Amherst, MA, Lemelson put this concept into practice. Faculty-supported student E-Teams took on specific problems, such as finding more efficient ways of fish farming, with the aim of finding solutions that could be turned into independent enterprises after students graduated. Nearly a third of the students at Hampshire College, liberal arts majors as well as those in science programs, have participated in the E-Teams or related courses. A similar program was established at the University of Nevada at Reno. Lemelson envisioned expanding the E-Team concept to colleges and universities throughout the country, and even to elementary and secondary schools. He created the National Collegiate Inventors and Innovators Alliance (NCIIA, now VentureWell) to carry out this vision. The Lemelsons gave another generous grant to the Massachusetts Institute of Technology to establish the Lemelson-MIT Awards Program, which honors and supports American invention through prizes, spokespersons, and activities. Two annual national awards, the Lemelson-MIT Prize of $500,000 and the Lemelson-MIT Lifetime Achievement Award, celebrate great living American inventors. The Lemelson-MIT Prize is the world's largest single prize for invention and innovation. At MIT, the Lemelson-MIT Student Prize of $30,000 is given annually to an MIT senior or graduate student showing remarkable inventiveness, and Lemelson Doctoral Fellowships support doctoral work in the field of invention. The programs supported by the grant also include E-Teams and a public education and awareness campaign on invention. To reach an even wider audience, the Lemelsons gave more than $10 million to the Smithsonian Institution's National Museum of American History in 1995. The diverse activities of the Jerome and Dorothy Lemelson Center for the Study of Invention and Innovation at the Smithsonian include public programs, conferences and symposia on themes of invention and innovation, exhibitions and publications, oral and video histories, archival resources for inventors and scholars, and a national database of inventors' records held by historical repositories. Still another of the Lemelsons' initiatives supported the Nevada Office of Science, Engineering, and Technology, established to promote engineering, technological development, and economic diversification in their adopted state. In the mid-1980s, with their new financial success, the Lemelsons had moved from their modest home in Metuchen to a house in Princeton, NJ, facing a 600-acre park. Jerry Lemelson, always concerned about carcinogens and pollution, had wanted to get away from heavy traffic near the house in Metuchen to the healthier, greener environment of Princeton. 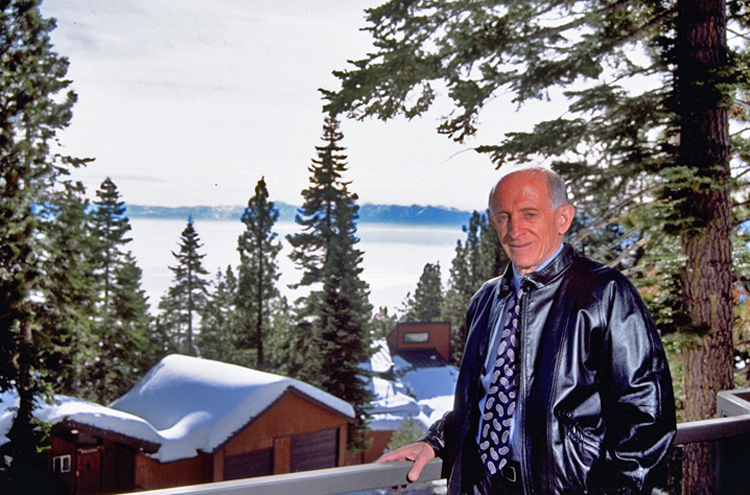 Ten years later, he and Dolly moved again, this time to the even clearer air of Lake Tahoe, NV, where Lemelson could indulge his love of skiing. There they enjoyed visits from their sons Robert, who had become an anthropologist, and Eric, an environmental lawyer who was planning to start his own winery. It was a special delight when their grandchildren came to visit. Jerry Lemelson possessed remarkable energy for a man of his age. While actively involved in creating the many programs of the Lemelson Foundation and its educational initiatives, he was still submitting new patent applications each month and dealing with legal teams handling his patent infringement cases. But on a visit to his son Robert, who was living in Indonesia at the time, Jerry Lemelson fell ill. Several months later, in the summer of 1996, he was diagnosed with cancer of the liver. His response was to step up his pace of invention. Now he focused increasingly on medical technologies, particularly technologies that could be used for cancer treatment. He had invented medical instruments and techniques in the past—a talking thermometer for the visually impaired, a method for treating blood clots, a computer-controlled tourniquet, even a cancer detection and treatment method. Now he intensified his research. He read medical journals and spent hours on the phone talking with his oncologists and doctors at other cancer clinics. He was particularly interested in drug-delivery systems and immunotherapy. He hadn't yet encountered a problem he couldn't solve, and he approached his illness as he had many other problems in life, large and small: with his creative mind and his cautious optimism. Had the cancer not been so virulent, it's conceivable he might have devised a cure. But there was not enough time. Jerome Lemelson died on October 1, 1997. In his final year, he filed nearly 40 patent applications, more than in any previous year. He sent the last one to his attorneys only six weeks before his death. A few years earlier, in a conversation with the writer Tom Wolfe, Lemelson had reflected on his life. "I don't have any regrets," he said. "This has been a good life. I've been independent, and I've done exactly what I wanted to do." Lemelson's efforts earned him not only more than 600 patents, but other awards and honors as well. In 1990, he was inducted into the Institute of Technology's New Jersey Inventors Hall of Fame and also received the New Jersey Pride Award for science and technology. Other awards included the Design News Engineering Achievement Award, 1994; the Design News Engineer of the Year award, 1995; the American Academy of Achievement Award, 1995; the Automation Hall of Fame Prometheus Award, 1997; and the Odyssey of the Mind Creativity Award, 1997. On Thomas Edison's birthday in 1998, the John Templeton Foundation, which recognizes "the incalculable power of the human mind," made a posthumous award to Jerome Lemelson. Another posthumous award, from the African-American Male Achievers Network, honored him for his record as one of the leading inventors in United States history and for his contribution to youth by promoting interest and opportunities in invention and innovation. Eric Lemelson, when asked what image might capture the essence of his father, described a late afternoon at Lake Tahoe. His father, then about 70 years old, had returned with his lawyer from a long day at court and couldn't wait to get on his jet ski. There he was, out on the lake, his mind no doubt churning up new ideas as his jet ski churned up the water. Grinning like a 13-year-old, he was ready for the next challenge. You may read any of the patents listed below by entering the patent number into the US Patent and Trademark Office search engine. Bailey, Anne Lowrey. "This Inventor's Latest: A New Foundation." The Chronicle of Philanthropy (August 10, 1995): 8-10. Brown, Kenneth A. Inventors at Work. Redmond, WA: Tempus Books, 1988. Hood, John. "How Business Delivers the Goods." Policy Review (July/August 1996): 14-15. Lemelson, Jerome H. "Young People and Ingenuity—Our Greatest Natural Resources." TIES: The Magazine of Design & Technology Education (March 1995): 1-55. Maloney, Lawrence D. "Lone Wolf of the Sierras." Design News (March 6, 1995): 70-84. Port, Otis. "Inspiration, Perspiration-or Manipulation?" Business Week (April 3, 1995): 56-57. Shulman, Seth. "Are you a Problem Solver?" Parade Magazine (May 5, 1996): 12-13. Thomas, Robert McG., Jr. "Jerome H. Lemelson, an Inventor, Dies at 74." New York Times (October 4, 1997): sec A, p.16. Wolfe, Tom. "Land of Wizards." The Best American Essays 1987, edited by Gay Talese. New York: Ticknor and Fields, 1987. Wysocki, Robert, Jr. "Royalty Rewards: How Patent Lawsuits Make a Quiet Engineer Rich and Controversial." Wall Street Journal (April 9, 1997): sec. A, p. 1.